in getting the love you want? 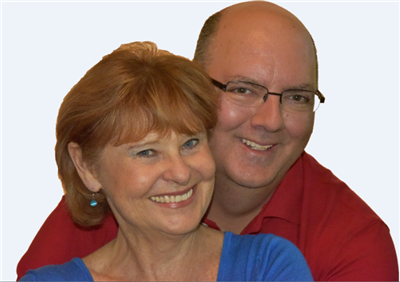 Hi-- We're Susie and Otto Collins and if you feel stuck and nothing seems to be changing… Our 1-on-1 professional Breakthrough Relationship Coaching can help you 'break through' your blocks to less stress, more happiness and love than you ever thought possible. Mary Catherine, who felt like her marriage was over, felt a deeper understanding and intimacy with her husband than she had felt for a very long time. Jennifer figured out whether to stay in or leave her 6-year relationship with Bob after seeing how she was the one with the fear issues and not him. What happens in a Breakthrough Coaching session? Coaching sessions can be done in person, by telephone or Zoom, with you calling us at our scheduled time. Some people choose to work on a weekly basis and some biweekly or monthly. All sessions are confidential. We may choose to correspond by email between sessions. During a typical session, we use personal stories, focused questions, and other various interactive ways of helping you to gain new insights into breaking through your "stuck" issues into creating the life and relationships that you want. We are here to support you and you can choose to do this work with us by yourself or with a partner. Why choose Susie or Otto Collins as your Breakthrough Coach? *Do you have a great relationship yourself? These questions are important to have answered because you want to work with someone who not only has coaching skills but also knows how to apply them in real life. You'll like working with us because since 1999 we've been writing, teaching and sharing our insights and strategies on how to have close, connected happy relationships with people like you--and we "walk our talk" in our own relationship. 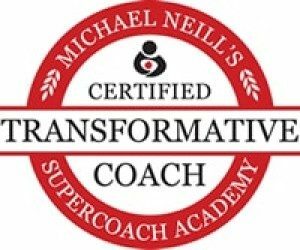 Professionally, we are Certified Transformative Coaches who have been guiding men and women all over the world on how to get the love they want since 1999. 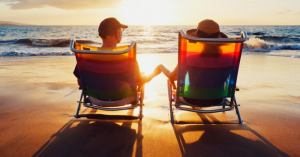 In addition to our coaching, we write our weekly love and relationship online newsletter and are the authors of over a dozen books, audios, courses and programs including "Magic Relationship Words," "Should You Stay or Should you Go?'" "No More Jealousy," "Stop Talking On Eggshells'" and many others. Our belief is that love, passion and intimacy doesn't have to die--ever. Personally, we feel blessed to have discovered the skills, attitudes and beliefs that we've used every day since being together to create 15 years of passion, excitement and love. It's been pure joy and bliss and we're still going strong. When you choose to work with us in person, by Zoom or by telephone, you'll benefit from our years of training and coaching experience--and more importantly, you learn how to keep your relationship close, connected, passionate, alive and growing over the years. The sessions are $125 for a one hour session and we offer a discount if you sign up for our "4 Session package." The 4 session package price is $375. These charges are non-refundable. This means, with the 4 session package--it's like paying for three sessions and getting the fourth one FREE. With the purchase of either package, you'll receive our email love and relationships newsletter free of charge. You may unsubscribe at any time. Call or email us for a no-charge 30 minute session to discover whether coaching with us is the right path for you. Contact us or call (614) 568-8282. It would be our privilege to work with and support you in creating what you want in your life and relationships. If you’d like to find out more and explore whether working together would support you, contact us and we will schedule a conversation. Thank you for your interest and we look forward to meeting you. "I'm so glad I found you! Every time I talked to you, I felt stronger. I've read books but you helped me get beyond the bump I've had in my relationship. I learned that when I'm upset and crying to stop and notice what's happening in my body. With that information and with practice, now I can instantly calm down. Thank you! Kathleen"
"Since my first session with Susie my life has changed tremendously. I now know who I am and that I deserve to be happy. I have had sessions with others that can't come close to the warmth and thoughtfulness I have experienced with Susie. I consider Susie to be my life coach as well as my marriage coach. She's like a sister, mom or best friend with a twist of unconventional wisdom. Thank you Susie, Love, Patricia"
Are You Ready to Have Less Stress in Your Life and Relationships? Schedule a One-to-One No-Charge Conversation With One of Us Now!